CNS DIPIKA. Flagship of the Camerounian Navy. The Navies’ joint exercise, codenamed NEMO 17.6, aims at increasing security of the Gulf of Guinea.APA-Douala (Cameroon) The Cameroonian and French navies, scheduled to conduct joint military exercises in the Gulf of Guinea, are currently coordinating their actions at the naval base in Douala, APA learned on Thursday in the port city. They are being conducted ahead of the holding in a few days in Dakar, Senegal, of an international symposium on maritime safety and security. 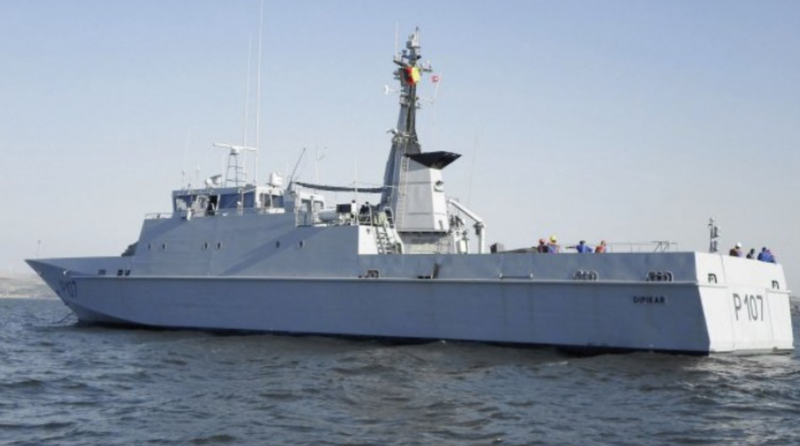 In the past few days, operations of fake terrorist attacks, fires, drug and human trafficking acts have been taking place in the territorial waters of Cameroon, with the involvement of French and Cameroonian warships. During this journey in Central and West Africa, NEMO 17.6 will bring together about a dozen sailors from various countries during the military maneuvers in the Gulf of Guinea. The objective is to work in synergy, in conformity with the resolutions of the summit on maritime safety and security in the Gulf of Guinea held in June 2013 in Yaounde, Cameroon. According to the Cameroonian Navy, the focus will be on the prevention and repression of acts of piracy, armed robbery against ships and illegal maritime activities in West and Central Africa. Previous Post Previous post:Nigeria, France and Chad Teetering on the Brink of War. Next Post The Largest Ever Deployment of Air Assets in a West-African Conflict.